Welcome to the indie game nightmare. This is nothing new to either field. 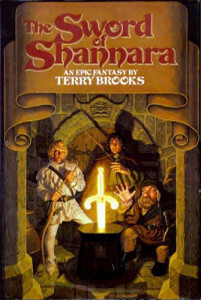 Gaming had innumerable clones of Pong and Space Invaders in the early and late 70s, respectively, while the heavily Lord of the Rings inspired fantasy hit Sword of Shannara came out in 1977. But it was hardly the first of the “me, too” inspired fantasies. It makes sense on one level. Face it… most of us do this stuff because somewhere along the line we were inspired. And like they say, imitation is the sincerest form of flattery. We want to recreate what we love. In an empty, hungry market, there’s room for that. That worked for Terry Brooks, who took the best-selling Shannara series in many new directions over the years. That’s why game publishers (and developers) get so excited about new platforms. They create a new, empty, hungry market. In a saturated marketplace, it’s a whole ‘nother story. 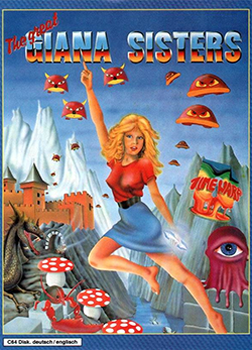 Sure, you can make your own special version of Super Mario Brothers. For you, it may be a fantastic exercise. But in a world that already has that game, and sequels, and clones, why would anybody else need to play this game? And that’s really the cool area to focus. This shouldn’t dissuade you, it should excite you. Because that’s what we’re all about… creating new worlds, new experiences. One piece of advice I’ve frequently heard is to write your marketing copy first. Use that as an opportunity to get to the core of what your game or story is about, and also single out the key elements that makes it cool, unique, and interesting. Once you have that fleshed out – and it’s not big, we’re talking two, three, maybe four paragraphs – and you read it and it makes you desperately wish someone else had already made it so you could play it / read it NOW – then you are ready to begin work on it. The audience wants something familiar but new. Don’t skimp on the new. Be creative! Answer #1: To quickly make some cash. Most books – like most movies – are not meant to be creative. They are meant to be made quickly to make some profit. They mostly feature simple, basic plots (rescue the damsel/world, find the serial killer, fight the supervillain etc. ), run-of-the-mill character names and jobs implying their character (“FBI agent Jim Scott”) etc. Answer #2: Because the author actually believes he has seen the light will bring joy to his readers. In this variant the author is unable to recognize the crap he has produced and – if sales are high enough (perhaps because of some clever marketing or side-effect like coming on the market at the right time) – he can’t recognize it because he/she is, after all, a *successful* author. The consequence will be one or more sequels and all is well in book publishing land. Of course it still remains crap and I can’t even hate the author for it, because his tasteless readership is apparently large enough to make him produce more (see the slew of vampire/werewolf novels in the recent years). And let’s face it: Fan-diction is a real problem nowadays since it crept out of the computer-screen-illuminated basements and became a legitimate source for the publishers who slapped it on real paper. Just take a look at the last few Humble Book Bundles and their DOZENS of books – regardless of genre – read the short marketing texts and try to decide which book falls into either of those category. Exceptions: Republished classics or stuff from famous authors that was rejected back then and is now dragged from beyond their graves to make a quick tidy profit (“This volume collects four of those complete, never-before-published novels written before Dune” – yeah, right…). Idea for a game: Redneck RV simulator. Like Privateer / Star Citizen, but instead of in space, you travel in a mobile home with machinegun between towns, trade in contraband and duke it out with other rednecks, biker gangs and cops. Then sell loot from destroyed vehicles and use the cash to upgrade your vehicle, buy fuel, etc. One issue with trying to create something new in a crowded market is that you often can’t even know if something has been done before. Especially in fiction, with the sheer volume of new books that are released every day. But even in games, it’s difficult to find that one game that, against the odds, looks/plays exactly like the idea you have in mind. So you have an idea, and you tell it to someone. Unfortunately, that someone has recently read a book that sounds a lot like your idea, a book you didn’t even know existed. And because he’s read that book, to him your idea is “stale” and “weak”, regardless of its actual merits. But the thing is, fiction is an old market. An extremely old market. And pretty much every idea has been done before, to death. I reckon you could take ANY piece of recently released fiction, neatly identify the tropes (tvtropes ain’t just for TV!) and break it down into easily identifiable story ideas that look just like any number of other recently released pieces of fiction. So, making something completely new becomes a task that approaches impossible with every passing year, and every large raft full of new fiction released. Your only hope is that your work finds an audience who is looking for more of the same, or who hasn’t read any of the fiction your work resembles, or who can get attached to your characters and settings specifically, finding something they identify with. For example, I will read Tolkien-inspired fiction any day of the week. And I will play a new turn-based RPG any day of the week. And I am under no illusions that my own writing isn’t the most Tolkien-inspired stuff ever. I am also under no illusions that my turn-based RPG game (pimpage! http://www.gamedev.net/blog/33-why-you-crying/ ) isn’t quite exceptionally derivative as well. My only hope is that once a work is finished, I can find someone who enjoys it even if they’ve seen it before wearing a different suit of clothes.